(Havre Herald) — Former Hill County Attorney Jessica Cole-Hodgkinson received $49,000 to resign her position, according to the Voluntary Resignation Agreement obtained by The Havre Herald. Cole-Hodgkinson’s term ran until Dec. 31. The reason for the agreement — between her, the county commissioners and any other “entity” acting on the county’s behalf — the document says, was to “induce” her to resign. The agreement says the county promised confidentiality to the embattled Cole-Hodgkinson. 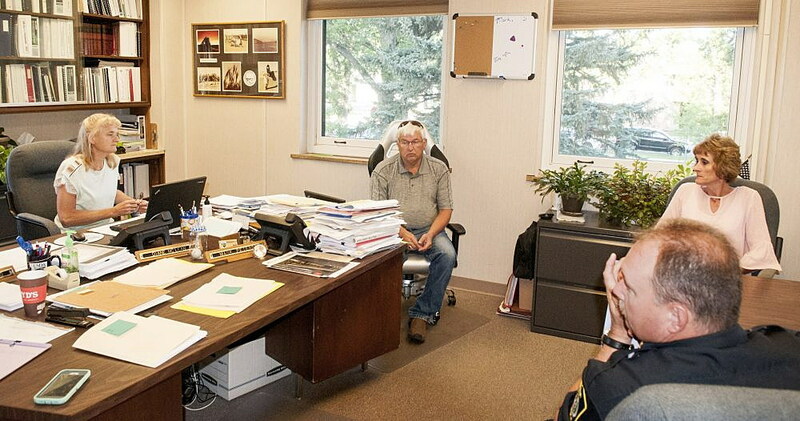 Attorney Gregory Bonilla of Montana Association of Counties Defense Services, an organization of county governments, said the county was advised that the agreement is a public document and that The Herald was entitled to it. MACo Defense Services is representing Hill County because it would be a conflict for the county attorney’s office. The Herald filed for the document under the Montana Public Access to Records Act. Bonilla said county officials refer all questions to the agreement itself. In a text message to The Herald July 26, Cole-Hodgkinson said she discovered in April that her mother has a deteriorating disease. Cole-Hodgkinson said, in letters to District Judge Daniel Boucher and Justice of the Peace Judge Audrey Barger, that “overwhelming” personal matters prevented her from showing up to court during the last days of her tenure. In the letters, she asks both judges to vacate show cause hearings, during which she would explain why she didn’t show up to the hearings. The lump sum amount of $49, 214.84, equal to six months salary, was to be direct deposited within 10 days of the agreement. The agreement was dated July 19. It was signed by Commissioner Mark Peterson that same day and by Cole-Hodgkinson July 26. The agreement says that neither of the parties admits any liability. In addition to the lump sum of $49, 214.84, Cole-Hodgkinson also received her regular wages for July, which, according to a copy of the paycheck stub provided by the Hill County clerk and recorder, is for $8,227.47. Under the agreement, the former prosecutor will also be covered under the county’s group health care plan until Dec. 31. Mike Meloy, a retained attorney for Montana Freedom of Information Hotline, said he is pleased that the county agreed to release the confidentiality agreement. In his experience, he’s had to sue governmental agencies to get such agreements. In the end, he’s always gotten them, but at the cost of time and money. Cole-Hogkinson’s tenure started November 2016 and her resignation became official at 8:01 last Monday morning, after which then-Deputy Attorney Karen Alley, who had won June’s Democratic primary, was sworn in and took over an office swimming in a backlog of cases. Cole-Hodgkinson was appointed by the commissioners on recommended grounds by then-county attorney, Gina Dahl. During Cole-Hodgkinson’s 19-month term, multiple felony cases had been dismissed and the county was sued for gross incompetence on her behalf (that suit was later dismissed). Cole-Hodgkinson may not have seen the last of the Hill County Courthouse. She is ordered to appear to three show cause hearings and give reason to Judge Barger why she was not present for three Justice Court hearings. She was also ordered to appear in District Court Thursday to say why she did not show up to seven hearings in that court. District Judge Daniel Boucher vacated those orders Wednesday. Barger, however, has not canceled the Justice Court show cause hearings. There is no “statutory authority” or case law that says a show cause hearing can be canceled on the grounds that she did not know her deputy attorney needed her help or because she has resigned, Barger says in a letter reply to Cole-Hodgkinson after the former prosecutor asked Barger to vacate her show cause hearings. Cole-Hodgkinson is scheduled to appear in Justice Court Aug. 7 at 11 a.m. She has not responded to requests for comment on the agreement by publishing time.